A good book on vacation is a wonderful pleasure; a good book related to you travel destination is an even greater pleasure this is the second in a series, to read the first click here. 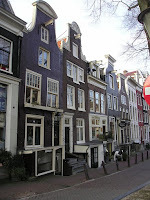 Deservedly famous, The Diary of Anne Frank is a must-read if you have ever, or you are planning on visiting Amsterdam. Though I read, “The Diary of Anne Frank” when I was just a girl, much of it came flooding back to me in my twenties when I visited the Anne Frank house in Amsterdam. Because of the depth of the writing of a young girl and the tragic circumstances in which the diary was written, it is somehow surprising to learn that the Frank house is very beautiful, bright and airy. 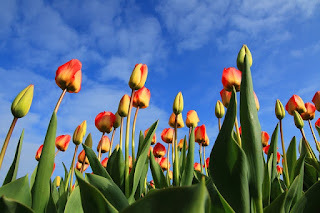 Strangely, it is evocative of youth and thus the spirit of Anne Frank herself. Considered by some to be a potboiler, Hawaii does indeed contain some melodramatic moments, but this saga by Pulitzer Prize Winner James Michener captivated me both in print and film. Abner Hale, a devoted and uptight divinity student soon-to-be preacher needs to marry in order to go to Hawaii on a mission to convert the natives to Christianity. Abner meets the beautiful Jerusha, and soon they are married and on their way to Hawaii. Outside of the sensitive portrayal of the Hawaiians and their traditions, Michener does a brilliant job of conveying that it is the spirit of the law and not the letter of the law that matters. At least the film did for me when I was a child. When I read the book later as an adult, I was struck with how sweeping and ambitious the book was, and I was especially moved by “From the Boundless Deep,” and early chapter in the novel that details the birth of the Hawaiian Islands. 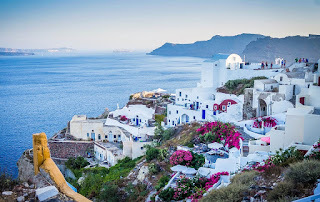 Going to enjoy the sunshine and beauty of Greece without tending a bit to your Greek history or philosophy is like going to Paris and not walking down the Champs-Élysées. When I was in Greece, I found that a taste of Aristotle a day helped to keep luxury hotel snobbery away (although I must admit, one can get used to such things). In Nicomachean Ethics, Aristotle is concerned primarily with “the Chief Good” or “that which all Things aim at.” The book is a kind of ethical manual for becoming a refined person. Of special interest to me was Aristotle’s doctrine of “the mean” wherein Aristotle postulates that it is the person who manages a middle way who is most refined and balanced. Want to Travel and Read a Great Book? Are you looking to visit one of the cities listed above? International Vacation Home Exchange can help. See these luxury home exchanges, see how it works and read testimonials. Looking for more? Viewthe previous Travel Book blog. This sensitive portrayal of a young man, who considers entering the priesthood but ultimately chooses the artistic life, is a page turner in its quiet, but earnest way. With autobiographical echoes of Joyce’s own life, the protagonist, Stephen Dedalus (so named after the mythical, Daedalus, a skilled artist and craftsman) grows, suffers, and “sins” his way to his ultimate, artistic fate. 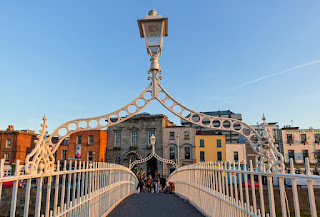 Much of the novel is set in Dublin, famous for its various literary figures and other colorful characters. Some passages of the book are heartbreakingly lyrical, and one can see clearly how Joyce and Dedalus are likely one when Dedalus proclaims at the end of the book, “I go to encounter for the millionth time the reality of experience and to forge in the smithy of my soul the uncreated conscience of my race.” To many, Joyce is the conscience of Ireland and Dublin. debris of the storm raging in my soul. A raging in the soul of another sort is found in Dante’s Inferno. The first part of Dante’s, The Divine Comedy, Inferno chronicles Dante’s journey through hell next to his guide and teacher, Virgil. A wonderful blend of the religious and secular, Inferno details various sins, sinners, and their punishments. As terrifying as any horror film of current imaginations, Inferno describes such dreadful scenes in hell as two sinners buried in the ground close together with only their heads sticking out; one head chews on the head in front of him. For some reason, this was especially terrifying to me, and I had to stop reading for a bit; in fact, on my way to Italy, a woman on the plane mentioned that she had tried to get through Inferno several times, and was unable to finish it. 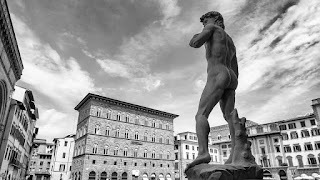 So why should you read it in Florence? Because not only is it a canonical work, but it also speaks to who Dante was and what was going on in fourteenth-century Florence. As brilliant as Dante was, he also managed to make some enemies and was later exiled from Florence. One of the city’s favorite sons today, his portrait hangs in the famous Il Duomo. Il Duomo itself served as both a religious and secular center of sorts reportedly because of sizable secular funds used to build it. No one portrays sophisticated New Yorkers better than Michael Cunningham. Winner of the Pulitzer Prize for The Hours, Cunningham turns his attention to a modern, New York couple’s marriage and extended family. Peter and Rebecca Harris have a comfortable life; Peter is an art dealer, and Rebecca, an editor. They seem to have it all—careers in the arts that pay! But something haunts Peter; he questions his own authenticity; he questions his marriage, and he ends up questioning his sexuality. It is like Cunningham to play with the blurred lines of human sexuality—in this sense, he is a very honest writer. Rebecca’s younger brother, “Mizzy” comes for a visit. A college dropout, former drug addict, and free spirit, Mizzy challenges Peter’s belief in himself. In part a commentary on the commodification of art, this novel will not only give you a sense of the complicated New Yorker, but also spotlight the tragedy of modern, “successful,” American living. Come back in a couple days, we'll have more great travel books to share with you - read it here. 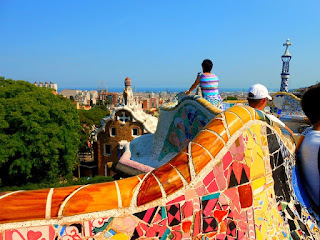 Easily recognizable by its colorful mosaic architecture, Park Guell is a must-see attraction on any visit to Barcelona. Its whimsical and playful designs left me feeling as if I had just stepped into the pages of one of my favorite Dr. Seuss books. The park is the work of renowned artist Antoni Gaudi whose work is showcased throughout Barcelona. The park has a rather unique history. It was commissioned in 1900 by Eusebi Guell. He and Antoni Gaudi planned to create a luxury gated community outside of the hustle and bustle of the city. The plan was to build 60 houses in addition to a large square, markets and other services for the community. Sadly the idea was not as well received as the pair had hoped and only two of the 60 houses were actually built. The housing project was abandoned in 1914. It wasn’t until 1922 that the project was turned into a park which is enjoyed by millions of visitors each year. Park Guell is built on Mount Carmel and has some of the most amazing panoramic views of the city. The views alone are worth the trip to this attraction. No matter what time of year you visit, the park is sure to be crowded. In an effort to maintain the conservation and maintenance of the park, the entrance is regulated so only a certain amount of visitors are allowed in at a time. It’s recommended that tickets be purchased in advance. Tickets are available for purchased up to 3 months ahead of time. Visitors can choose the type of tickets and the time slot that best suits their travel needs. 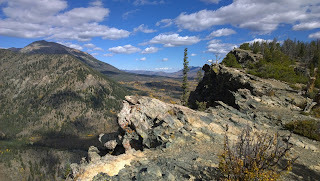 Keep in mind that some of the paths are very hilly. There are sections of the park that have inclines that are actually quite steep so keep that in mind if mobility is an issue or if you plan to visit on a hot summer day. Between getting there and taking in all the sights you’ll want to allow at least 1/2 a day to fully enjoy the park. 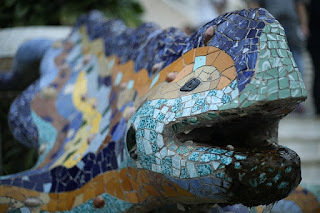 Park Guell is on the outskirts of the city away from other city attractions. It’s a good idea to be aware of this when planning your itinerary but please don’t let that discourage you from visiting this one-of-a-kind attraction. Visit the beautiful city of Barcelona and book your accommodations through a luxury home exchanges in Spain and around the world with International Vacation Home Exchange . 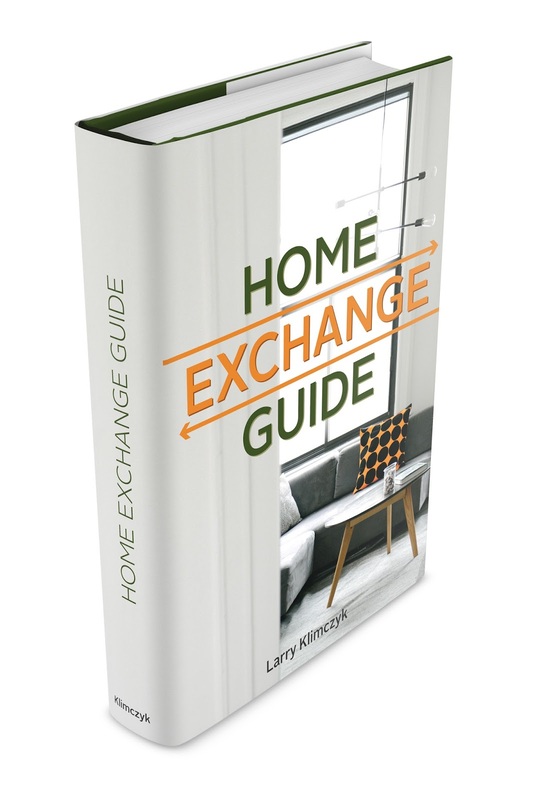 Find out more about how home exchange works. Eusebi Guell’s plan for luxury homes may have fallen through but IVHE has a variety of luxury properties to choose from not only in Barcelona but around the world. I had an opportunity to spend a few weeks just outside Torun, Poland in a tiny town called Kutno. If you’ve never heard of Kutno then that wouldn’t surprise me. There are only two reasons people are familiar with Kutno: 1) you have ancestors from there or 2) your son has competed in the European and African Little League Championship. The second is what brought us there. Other than being home to the baseball championship games, not much else goes on in Kutno. So when we had a game-free day we decided to explore the surrounding areas and take a short drive to the neighboring town of Torun. We thoroughly enjoyed our tour of this little known European city. We found the town to be a refreshing change from the tourist driven cities around the world. Torun has one of the quaintest European town squares. We had great time exploring on foot and grabbing some lunch in one of the outdoor cafes. 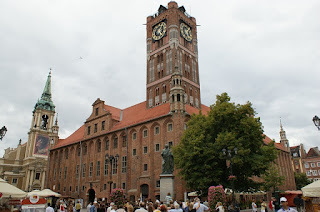 Torun is one of the oldest most historic cities in Poland. The city is well known for its stunning medieval architecture. It is one of the few Polish cities to escape major damage during World War II. 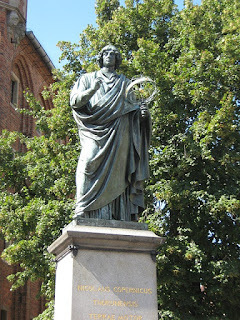 It is also birthplace to the polish astronomer Nicolaus Copernicus. 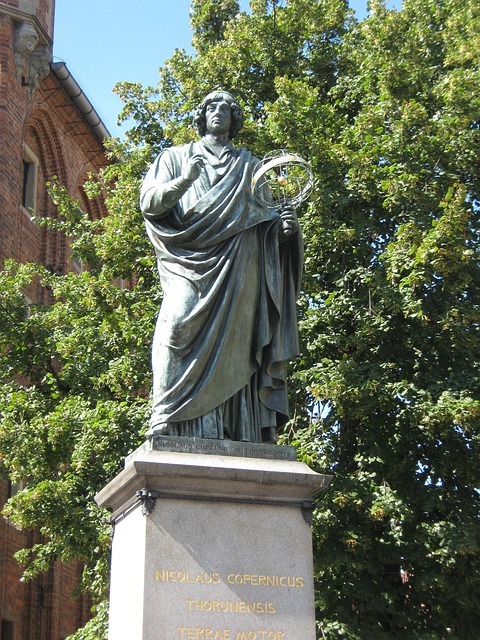 A monument of the famous astronomer stands just outside town square and there is a lot of town pride for their well-known former resident. At the heart of Old Town is the magnificent Old Town Hall. It’s one of the few gothic structures that is not a church. We climbed the narrow stairway of the tower to enjoy some breathtakingly charming views of the city and captured some beautiful photos. Walk just a few minutes outside of center square and you’ll find Torun’s version of the Leaning Tower of Pisa. We discovered that composer Frederick Chopin has ties to the city as well. The family of one of his good friends was connected to the city so Chopin spent quite a bit of time there. Places where he frequently stayed honor him with a plaque. One of the best reasons to book a home exchange for your next holiday is that it allows you to escape the tourist scene and experience your travels like a local. Whatever part of the world you’re planning on exploring International Vacation Home Exchange is sure to have a luxury property nearby. Search properties near your next travel destination. If your travel happens to include watching boys play baseball in Little League games then best wishes on the team making it to Williamsport and yes, IVHE does have properties in Pennsylvania. There’s no doubt that traveling comes with its share of hassles and inconveniences making it easy for some to come up with a long list of excuses as to why they don’t. As tempting as it is to stay in your comfort zone, nothing new or exciting ever happens there. Here are a few of the most common excuses people give as to why they don’t travel. Hopefully, I’m able to debunk a few and encouraged everyone to add a little adventure to their lives. “I can’t afford to travel” Yes, travel can be expensive but with a little creativity there are many ways to fit it into your budget. Sign up for a credit card that earns you travel points There are a tons of credit card companies out there offering points toward travel expenses that can save you hundreds of dollars. Book a home exchange: Book a home swap with a company like International Vacation Home Exchange and save thousands on your accommodation expenses. You’ll also save money by cooking at home instead of eating out. 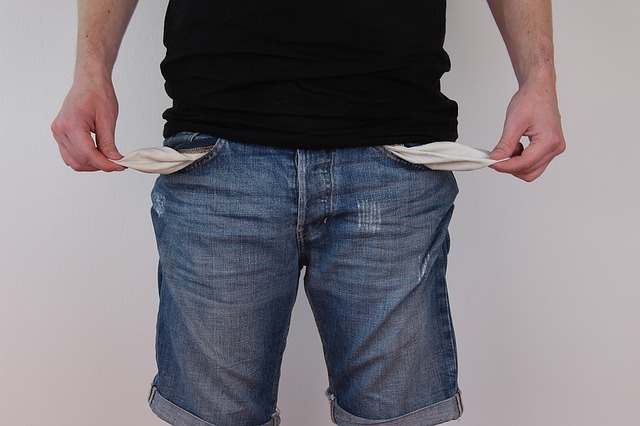 Start a Vacation Fund: Be cautious of where you are spending your money. 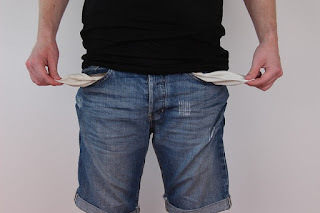 Each time you decide against making an unnecessary purchase put that money in a special fund towards your vacation. You’ll be surprised how fast that fund adds up and how many useless items you often spend your money on. While flying can sometimes be a frustrating and unpleasant experience, it’s quite often the only option to get to your from Point A to Point B. It’s best to just embrace it. To be honest, I love to fly. When else do you have several uninterrupted hours where you don’t feel like you should be doing something more productive? It’s forced “down-time”. Make the most of it. Read a Good Book Flying is probably the most uninterrupted time you can have. Watch a Movie Research movies that are out and find one you’ve been dying to see then save it for your flight. You’ll be at your destination before you know it. 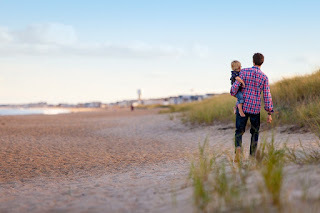 Having a vacation home is nice way to spend vacation time and create family memories but it can easily get you into a travel rut. Consider using your vacation home to arrange a home swap through IVHE. Home swap is a great way to broaden your travel horizons and visit a place you’ve always dreamed of visiting. IVHE has luxury homes all around the world. While recent incidences around the world may cause you to have some apprehension regarding travel, it’s important to keep in mind that if we waited until there was nothing disturbing going on in the world and it was completely safe to travel then no one would ever travel anywhere. They’ll always be something to worry about somewhere in the world so don’t let current events prevent you from planning a trip. Put an end to the travel excuses and start living your travel dreams today. Hopefully, in no time at all you’ll be using “I’m too busy traveling” as your new excuse. 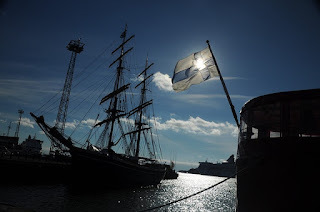 Visit the beautiful seaside city of Helsinki and you’ll experience a mix of culture, history and natural beauty. Finland’s capital is a great city to explore on foot or by bike. It also offers a public transportation system that’s both reliable and easy to navigate. Here are a few must-see attractions awaiting you in this Baltic capital. This top Helsinki attraction is just a short ferry ride from Helsinki’s harbor. It was built in the 18th century by Sweden as a defense against Russia. The fortress is made up of a grouping of six islands. Learn more about its rich history by taking one of the guided tours offered throughout the summer months. Though it’s known as Rock Church or Church of Rock its official name is Temppeliaukio Church. This Lutheran church is built directly into rock. As visitors approach this site, the only part of the church that is visible is the top of the dome as the church is built below ground level. Natural light comes in through the windows surrounding the roof. This unique church offers a peaceful rest after a day of sightseeing where you can take a seat and listen to its tranquil music. Senate Square offers a great vantage point at the top of its steps where you can sit and take in the views of the city. 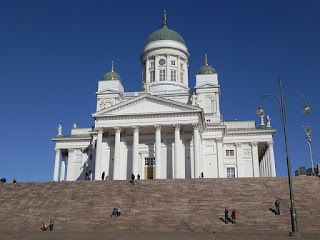 The square is made up of four buildings, Helsinki Cathedral, Government Palace, University of Helsinki (main building), and Sederholm House offering fine examples of neoclassical architecture. This is my favorite part of the city. Market Square is the central square in Helsinki and borders the Baltic Sea. 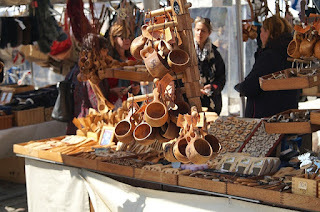 You’ll be sure to find everything from fresh Finnish food to one-of-a-kind souvenirs, handcrafted by local artisans. Canal tours around the Helsinki harbor frequently depart right from Market Square and offer an opportunity to explore the local islands during the summer months. With 1/3 of Helsinki covered in green area, it’s no wonder one of its major sites is Helsinki’s Central Park. What sets Helsinki’s park apart from other city parks is the fact that Central Park is more wild woodlands than manicured gardens. The park offers many activities for the outdoor enthusiast and draws some 2 million visitors each year. Whether you prefer to jog, bike, hike or use the archery range there are an abundance of ways to enjoy this city’s green space. Experience the Baltic area as a local by booking your next home exchange with International Vacation Home Exchange. You’ll be just minutes from city center in this Helsinki flat or chose this luxury flat in Stockholm. Find out what makes IVHE different from other home exchange options and learn how you can begin enjoying its benefits today. There was a time that I thought I was a pretty savvy traveler. I always had a game plan when I walked through the terminals to the airport. I owned the skycap lines. I also knew how to quickly get through security. You can usually spot the veterans out in the security lines. We already have our shoes and belts off ready to go into the bin well before we even get to the x-ray line. We know the rules of the carry-on items like the back of our hands. Then you can spot the novice flyers. They are the ones who usually hold up the lines by forgetting to take laptops out or have to make countless trips through the metal detector because of forgotten belts and loose change. We’ve all been there. You learn. Suddenly, I found myself becoming the novice traveler once again. 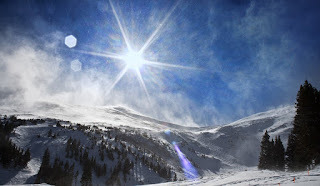 Recently, my husband and I flew to Denver with our 16-month-old son. This would mark our son’s first flight (and our first flight with a baby). We were the rookie parents. And our mistakes began weeks before we even left for the airport. Though we didn’t need to purchase a seat for our kid, we still needed to include him on our itinerary. And of-course, we forgot to check that box. Luckily, I realized our mistake a few days before our trip and after a few phone calls, our son had his own ticket. Now flash forward to our departure date. We showed up early to the airport and it was a good thing that we did. The trip through security was rough. First, the security agents (TSA) took the stroller and then pushed me and my kid through a metal detector. Then, my hands had to be checked for residue. The stroller was flagged as suspicious for some odd reason. As a result, my husband had to be thoroughly checked (more like patted down). The items in both of our bags had to be checked one-by-one for anything that could apparently bring down a plane. Imagine this process while trying to hang on to a very mobile and very impatient toddler. Luckily we made our flight and I may have aged 2 years at this juncture. Okay, so we got off to a rough start. But I wasn’t going to let this ruin our flight. I was a seasoned traveler after all and this seasoned traveler/rookie parent was armed with an iPad, treats, milk, and toys. The goal: try to keep the kid happy so he doesn’t ruin the flight for some 150 passengers onboard. And mission accomplished! No tears, just giggles and smiles. Had there been tears, I would have bought drinks for everyone onboard. Now for our trip home. We used two different airlines for our trip: Delta and Southwest. Southwest would be our ride home. Getting through security at Denver International Airport was a piece of cake. Getting on the plane was a different story. We were issued what we thought were boarding passes at the ticketing counter. We were actually issued security passes and needed to check in with customer service in the terminal. Didn’t realize this until we tried to board the plane. Swing and a miss. Once that was resolved, we tried a second time to board the plane. We were not allowed to board because our stroller needed to be check-in through customer service and not at the gate. Strike two. So we went back to customer service, got a tag for the stroller and finally were allowed to board the plane. However, because we were now some of the last people onboard a full flight, my husband and I couldn’t sit next to each other. We would have to sit apart. Strike three. Once again, my kid was a champ. 80-minutes and like 20 episodes of Bugs Bunny later, we were on the ground in Utah. We got our luggage, car seat, and infant pack and headed back to our house. The travel adventure was not over though. Our infant pack was damaged beyond repair during the flight. 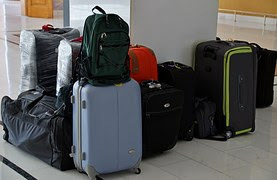 Because my husband and I both had carry-on bags, the pack would need to be checked with our luggage. From there, I am not sure what happened but our brand new pack was pretty banged up. We were told that we should have invested in a protective cover for the pack. Strike four. Okay, so if this were a baseball game, I would be sitting the bench. Rookie mistakes. But you learn, right? Here are some of the lessons I learned as a rookie parent flying with a kid for the first time. 1) List your child as a passenger when you book your ticket. Even if you plan on having your child sit in your lap, you still need to include him or her on the itinerary. 2) If you aren’t purchasing a seat for your small child, be sure to bring his or her birth certificate with you. Some airlines require an age verification at check-in. 3) Strategize the diaper bag. Be sure to pack diapers, food, and toys. Lots of toys. Pack mostly toys or anything that will keep your kids entertained. 4) Arrive early. Just in case your stroller is deemed suspicious or something while in the security line. 5) Change diapers just before you board the plane. 6) Invest in covers or anything that can help protect car seats, hiking packs, or anything that will need to go under the plane. The most important lesson I learned was patience. Patience is key. Flying with children is not easy. One thing we did before we left was solicit advice from other parents. 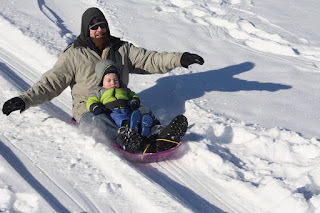 Many of the tips I received from other parents are sprinkled in the lessons I listed above. The unexpected will happen. 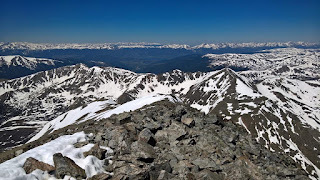 We traveled to Colorado to participate in the Bolder Boulder 10K. We’ve ran this race a few times in the past. But we did it as a young married couple, not as parents. The day before the race, we learned we were NOT allowed to bring my son’s running stroller out on the course (strike five). Though a setback, we just rolled with it (hence the brand new hiking pack that was later damaged on our trip home). This was our mantra for the whole trip: roll with it. You learn. Enjoy the comforts of a home when on vacation, do a vacation home exchange. With all the amenities of a vacation home, you and your young children will be much happier, thus making it a truly enjoyable vacation. I was 27 when I took my first trip to Orlando, Florida. Though I believe age is just a number; I was still a kid at heart even in my 20s. My now husband and I went to Orlando for the same reason why many people go to Orlando: Disney and Sea World. Again, I am a kid at heart. We spent a few days hitting the theme parks there before heading west to the community of Clearwater. It was an amazing trip. I came back with a nasty sunburn and like 5,000 photos. I also had about 1,200 emails waiting for me at work, but that’s a different story. Orlando is home to more than a dozen theme parks. Walt Disney World itself has four parks. Down the street, you can find Universal Studios and the Wizarding World of Harry Potter. Also in Orlando, you can find Shamu and SeaWorld. The city is surrounded by lakes and wetlands. If you head east, you will eventually run into the Atlantic Ocean and Florida’s famous white sand beaches. The city has a humid subtropical climate with temperatures averaging 70-90 degrees all year round. In 2014, 62 million people visited Orlando, making the city one of the most-visited tourist destinations in the United States. Sadly, as I write this post, Orlando is a temporary home to media outlets around the world for all the wrong reasons. The city has seen its fair share of tragedy in a span of just a few days. It is hard to believe that a city so beautiful has been plagued with unspeakable events. These events will forever shape not just the city, but the country and the entire world. But I digress. I have always wanted to write about Orlando. I’ve written about Disney World and Harry Potter. But there is more to the City Beautiful. Let’s talk about the 7 facts about Orlando that you may not know. 1) Orlando has been around for more than a century. The city was incorporated in 1875. It wasn’t until Walt Disney World opened in 1971, that the city became internationally known. 2) There are more than 25,000 vacation homes and rental properties in and around Orlando and Central Florida, including these International Vacation Home Exchange properties. 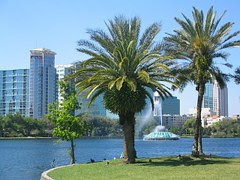 3) Orlando is home to more than 100 lakes. And these lakes are likely home to several alligators. 4) The city’s famous lake, Lake Eola, is actually a massive sinkhole that measures at about 80 feet at its deepest point. And it is a must-see if you visit the city. 5) Orlando was originally the main hub of Florida’s citrus industry. Farmers would eventually move their citrus crops south in the early 1900s. 6) Walt Disney World Resort sprawls across more than 40 square miles. To give you an idea of how large that is, all of Manhattan is 33.7 square miles. 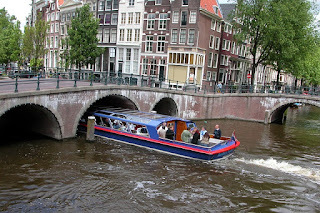 7) The city is commonly referred to as The City Beautiful. Other nicknames include City Phenomenal and City Different. When I was a kid, I simply referred to the city as Mickey’s Vacation Home. There is more to Orlando than just theme parks. The city has a bustling entertainment and performing arts scene. 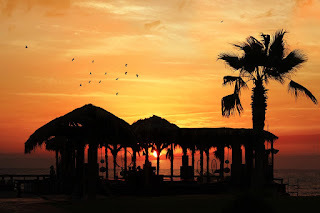 The city also served as backdrops to several Hollywood movies including “Jaws 3”, “My Girl”, “Parenthood”, and “Lethal Weapon 3”. In fact, Orlando is often referred to as “Hollywood East” because of the number of movie studios in the area. If you are lucky, you may see some celebrities walking the streets. And while you are visiting the city, be sure to talk to the locals. They will be excited to show you the roads less traveled by tourists. And as always, safe travels.